(Travel.) – It is one of the most beautiful, romantic, and interesting cities in the world, no doubt. Simply said, Paris is a circle with a river in the middle and around. Along both sides of the Seine river, you can find amazing sights, but if you want to get to know the city count to 20 because Paris has so much to offer. 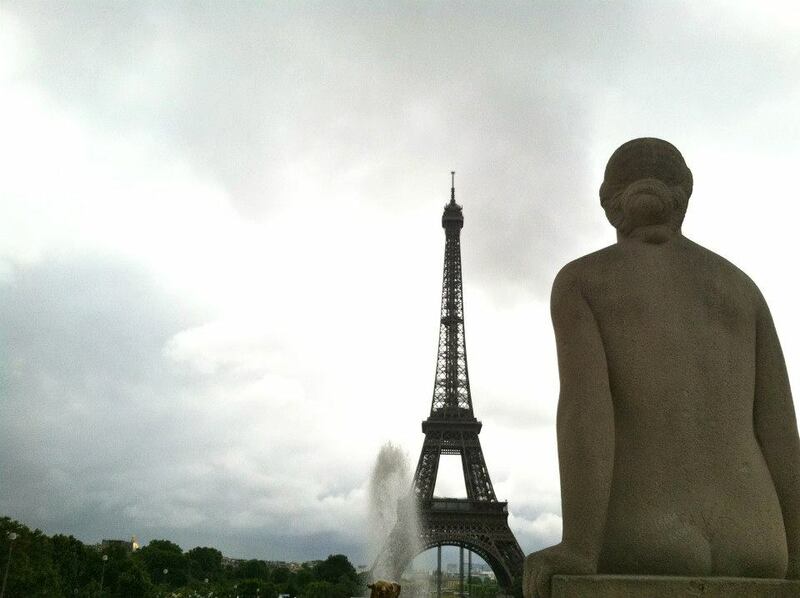 First time in Paris? How about making choices from the following 5 themes? 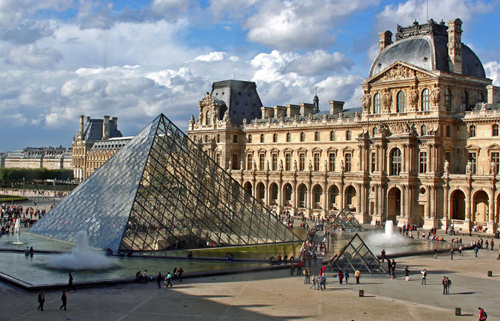 Of course, a visit to the Musée Louvre is a must, as it houses many centuries of art and history; but know that it can take the entire day to see some of the exhibits only. The Musée d’Orsay is equally interesting, especially if you love French Impressionism. For variety and eclectic pieces, go to the Centre Georges Pompidou. Other favorites: Musée Rodin –I love the sculptures and gardens, and Musée de la Vie Romantique. Tour Eiffel, Arc de Triomphe, and Champs Élysées, The Pantheon, Sacre Coeur. You must visit all of them, and so hurry up. So many parks, so little time! – Luxemburg Gardens and Parc Monceau are worth a stroll. Parks, to fully enjoy them, are a great choice for a long morning or quiet afternoon, to sit and read, to walk slowly; in other words, to enjoy la vie! 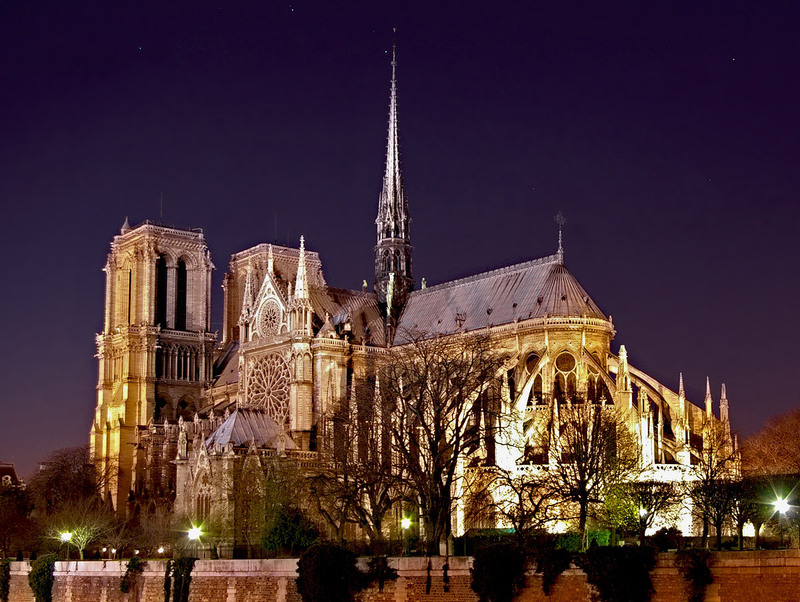 Notre Dame –who would not visit the place where the Hunchback lived? ;-). Also, the stained-glass windows with biblical scenes at Sainte-Chapelle are not to be missed. Both churches are amazing, and not far from each other. 5. The Metro. Any Metro. The metro stations in Paris can bring you wonderful experiences. 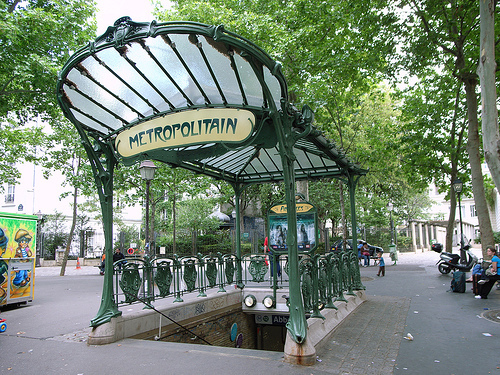 The Paris Metro, which began operating in the 19th century, is an underground train system that takes you everywhere within the Metropolitan area. Most of the stations are decorated with Art Nouveau, but each one has its own feeling and a theme. My favorites: Cluny-La Sorbonne, Abbesses, Arts et Metiers, and Concorde, just to name a few. Last, there are 20 districts (arrondissements) in Paris, designed in a spiral. You start on the 1st Arrondissement in Ile de La Cite, in the heart of the city; continue to the right towards the 2nd and 3rd; cross to the other side of the river to the 4th, 5th, and 6th, and continue in a snail-like circle, to the 20. Often times, best restaurants (brasseries) are found within the neighborhoods in the after-10 arrondissements, away from the touristic sites. What about you, dear reader? What Parisian places would you recommend? Feel free to comment and add to the conversation. Enjoy! Loved this post! I would love to see more travel posts on your blog! Hello! You’re right there is so much to see, sometimes I think I could live here a lifetime and not see it all. Great tips above for first time visitors, I like to start with a major monument or museum and then just wander from there, time permitting! Hope to see you over here again soon!